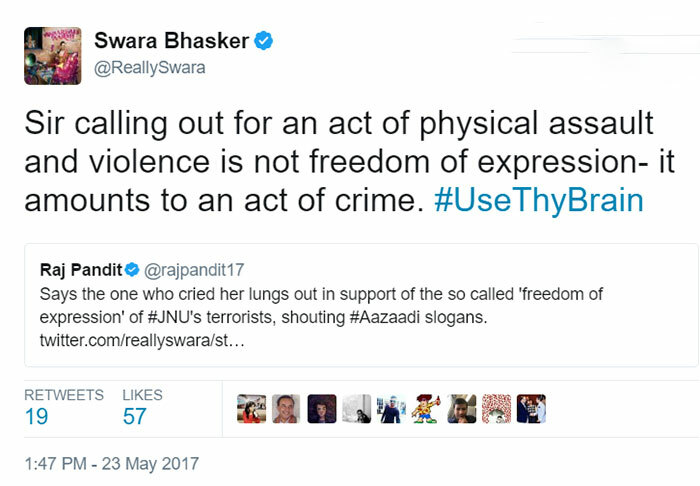 Rawal had taken to Twitter to post an out-of-context tweet against Arundhati Roy. The Hera Pheri actor conveyed the idea of ‘tying’ Roy to an Army jeep, drawing reference from a similar incident when a Kashmiri resident was tied to a jeep last month. “Instead of tying stone pelter on the army jeep tie Arundhati Roy!” the LokSabha member tweeted on late Sunday night. This tweet did not go well among the fans and people out rightly condemned the actor’s education. 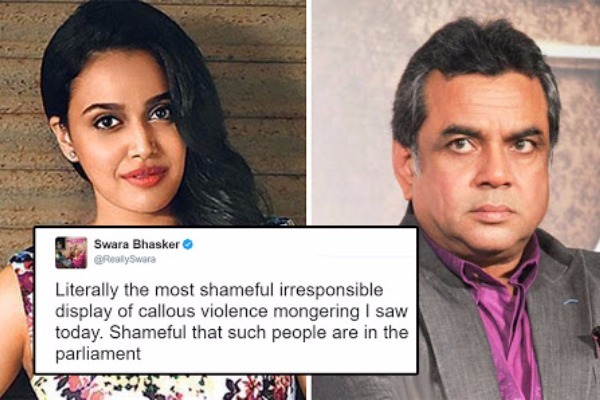 Bollywood filmmaker Vivek Agnihotri, actor Swara Bhaskar and several others also took to twitter to slam Rawal for making such insensitive comment.